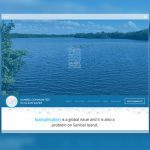 In Spring 2016 after a meeting in Fort Myers, Florida, we were selected by the Judges’ group representing all County Court Judges of Florida to develop a private website for them, allowing them to communicate internally, organize yearly events, share important documents and more. 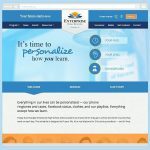 Our team at Brian Joseph Studios created several powerful tools for this website including a searchable PDF and Word document form, event registration and payment processing, Judges’ directory searchable by District, Circuit, County and Name, a discussion forum, and many more useful features. 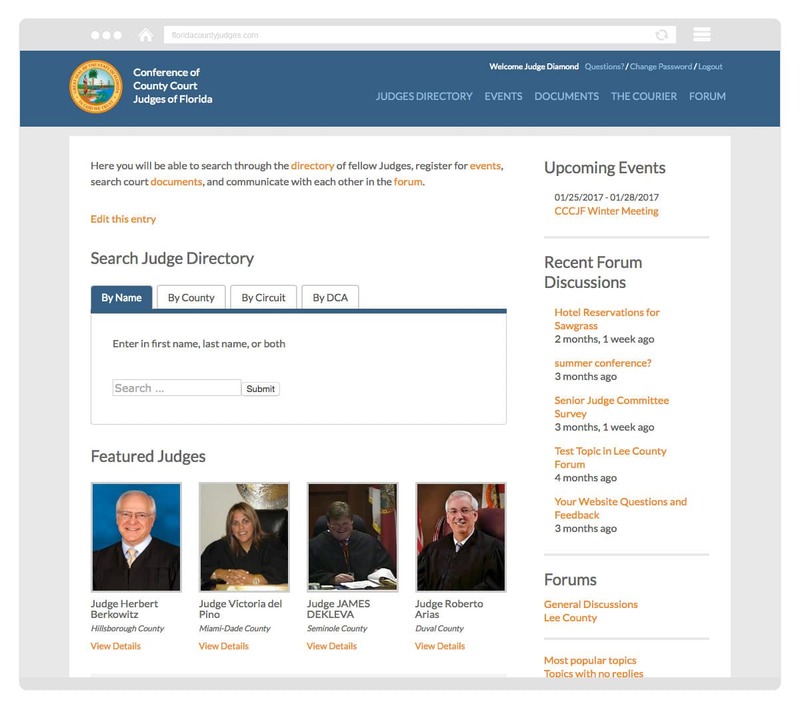 The website is a membership only website accessible only to active County Court Judges of Florida, and each Judges has their own user account and profile. Brian Joseph Studios has years of experience working with Government organizations, including this project with the Florida Department of Health.